Discussion in 'Disney Cruise Line Trip Reports' started by franandaj, Aug 16, 2018. Welcome to another franandaj Trip Report! While the trip hasn't technically started, it will be well underway a week from now, so I thought I might as well get started! This one should prove to have all kinds of fun involved because we have many other folks you know from online traveling with us! First lets introduce ourselves, I’m Alison and this is my partner Fran in the scooter. 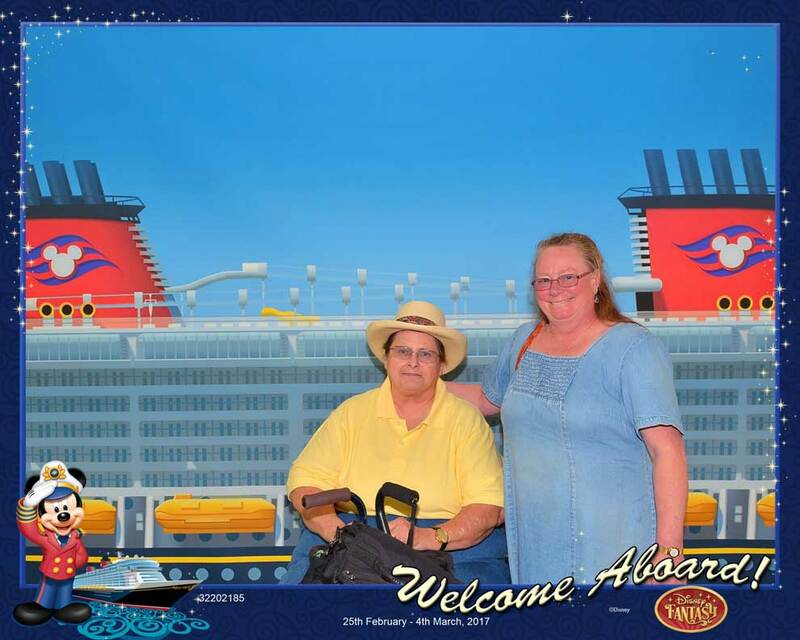 This picture was our embarkation photo from our last cruise, which just happens to be the same itinerary as we will be sailing on in a little over a week. 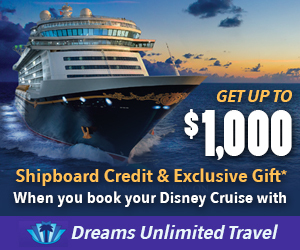 This will be our 10th Disney Cruise, even though we were Gold for all the booking parts, we’ll know that we’ve finally hit Platinum and will have all the perks associated with that when we are booking our next cruise! This will be our second cruise on the Fantasy, our second Eastern Caribbean cruise and our fourth sailing out of Port Canaveral. How did this cruise come about? Many of you will know that we are not normally folks who do Disney vacations during the hottest months of the Summer. We prefer October through April, but when you’re traveling with friends, and one of those friends is a teacher, well you have to work around the school year schedule. I don’t remember how long ago that it was that Karin (@dizneeat) mentioned that they were taking this cruise, we may have just returned from our last cruise and I was itching to book another, and Fran said “yes” when I asked so we booked it! Here are Karin and Tom, many of you know them from the DIS! I don’t know if Pam (@Pinkocto) and her Mom were already booked when Fran and I did, perhaps that was some of the leverage that Karin used to get us to book as well, but it worked, here are Pam and her Mom! Anyone who has followed along on my TRs and Bonus Features knows that Jill (@jedijill) makes regular appearances, and I was thrilled when she asked about the dates of our cruise and booked as well! Turns out that her room is only two doors down from Fran’s and my room! Here we are at DL the first time that we met. 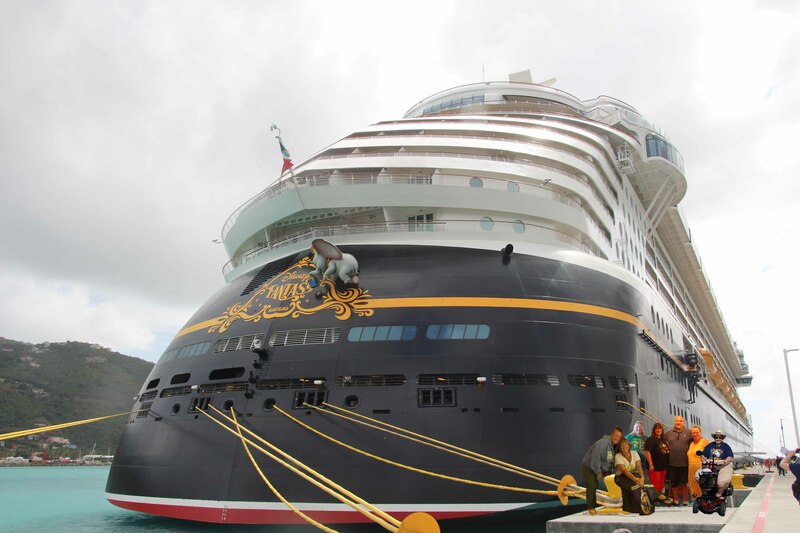 And here’s the ship we’ll all be boarding in just about one week! We’re going to be a very fun and happy bunch, but hopefully Pam’s Mom will be able to get a little bit more dressed up for our next group shot! and also I don’t know WHAT Disney was thinking letting Kylo Ren go skulking around at Minnie’s meet and greet. There will be two more folks joining our party, but I haven’t met them yet. I’m sure it will be a blast. Disney has said that all of us will be dining together in the MDRs at night. In addition we have some meals booked together at Palo for dinner and brunch, and there will also be some meals at Remy as well! So without spoiling the surprises of this TR too much, our basic plan is to fly Thursday via Houston on Southwest. We get into MCO at 6:15 and will take DME to BLT. I’m hoping to convince Fran to have dinner at Trader Sam’s which is only a monorail ride away. We’ll take it easy the next day before heading to MNSSHP that night with the whole gang. Then it’s off to the ship at 9AM the next morning! It’s a week long cruise on the Fantasy. We’re going to the Eastern Caribbean, Tortola, St. John, and Castaway Cay. Our ship will be the first cruise ship to return to Tortola after all the Hurricane damage. I don’t have any plans in the ports, and Fran most likely won’t even get off the ship until Castaway Cay. This cruise is mostly about getting away with friends and returning to the lovely restaurants on the ship and eating way too much food! Please feel free to join in on this fun and fabulous adventure! *tinker*bell*, chunkymonkey, buzzrelly and 12 others like this. Palo Brunch, and "Where's Flat Jenny?" This sounds like a fun trip. Tom and I are soooooo in. Can't wait to read all about it but wait we are coming on the cruise. Can't wait to read your report... Have fun! Second! I’m so ready to go!!! Can’t wait to meet everyone thatvIbhavent met in person yet! Beat you to it, Jill! Hello Alison & Fran! 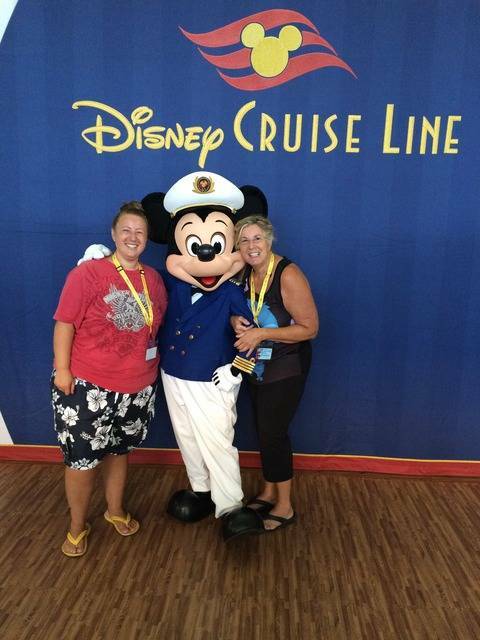 My husband Mickey and I are the plus two on your cruise. Can’t wait to meet you! 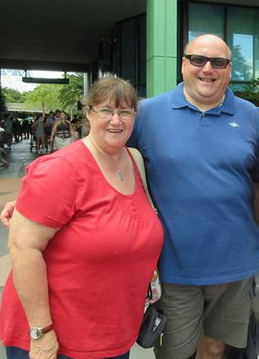 We met Karin and Tom on our first Disney cruise in 2010. 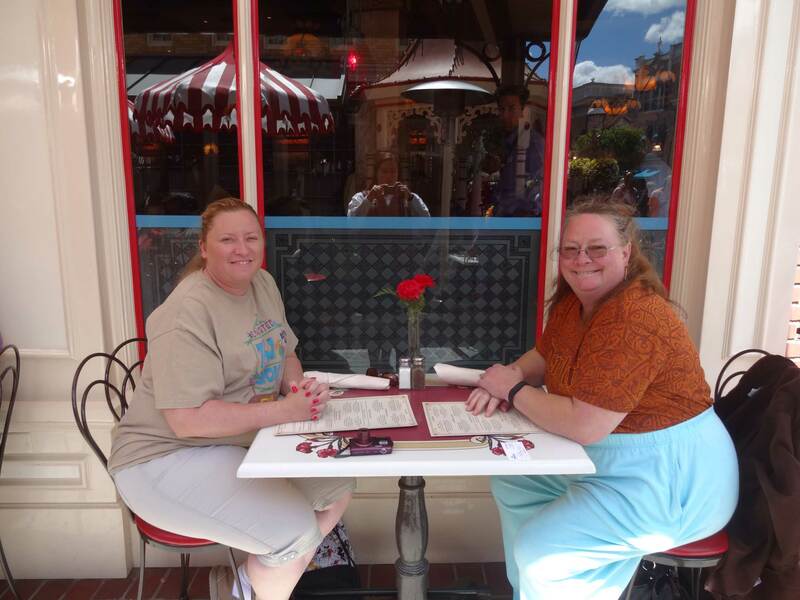 We met Pam and her Mom last year when we all went to MNSSHP together. Oh and Jill, I can’t believe I am going to finally meet Jedijill! SO EXCITED for another trip report. Yay! I can’t wait to meet you! This is going to be an epic trip!!! Here! Page one, too! Woot! we’ll know that we’ve finally hit Platinum and will have all the perks associated with that when we are booking out next cruise! We're looking at possibly doing a cruise (our very first) in May, so will be following along a bit more attentively. Cute little bit of photoshopping there. hopefully Pam’s Mom will be able to get a little bit more dressed up for our next group shot! Aye aye, Captain! I'm onboard. Woohoo!! My fav trip writers all on one ship!! Sailing with fellow DISers is always a blast. Have a great time! Sounds like you should have tons of fun together! No pic of me. I am so excited for you all! Have a great trip! Can't wait to read all about it! I don’t comment often but I’ve enjoyed all of your trip reports and am looking forward to reading about your adventures.